However this ends, you're probably going to find out some things about me, and they're not nice things. But, Ash, even after you know, do you think you could remember the good? And whatever you end up discovering, try to think of me kindly. If you can. Ember Crow is missing. To find her friend, Ashala Wolf must control her increasingly erratic and dangerous Sleepwalking ability and leave the Firstwood. But Ashala doesn't realise that Ember is harbouring terrible secrets and is trying to shield the Tribe and all Illegals from a devastating new threat, her own past. Since the fall of Neville Rose, escaping the detention centre and returning back to the Firstwood, Ashala has been living with her pack. Drawn into the woods and living as a wolf, Ash attempts to escape her inability to control her Sleepwalking, fearful that she may unconsciously hurt someone of the Tribe, or Connor. But the feeling of freedom and lack of responsibility is short lived, as Georgie and Connor admit that Ember is missing. Ember left the safety of the Firstwood for Gull City, where she had planned to meet the elusive Serpent. Once only a rumor in order to distract the government, a man calling himself The Serpent has emerged at rallies where rebels are challenging the Citizenship Accords and now Ember is missing. But when a dog bounds into the forest carrying one of Ember's memory stones, that may hold the key to Ember's disappearance, Ashala will stop at nothing to find her best friend and bring her home safely. She is pulled into Ember's memories, in a one sided conversation. Ash discovers that Ember may know who the figure referring to himself as The Serpent is, and if she's proven correct, then Ember refuses to stand idly by. She doesn't know when she'll be able to return to the Firstwood, if at all. Like all members of The Tribe, Ember has a past she would rather forget. But as Ashala begins to ask questions, she may just find more than she bargained for. Ember's only wish is to be remembered kindly and with understanding, in what may be her last goodbye. Feeling lost and in need of guidance, Ash returns to the lake where the spirit of her grandfather has settled. Speaking within her mind, her grandfather expresses his concern about the world that man once destroyed, and he isn't the only one. Ancient beings and spirits that survived the Reckoning are fearful that man is destined to repeat the atrocities of the past. Ember isn't lost but rather where she has chosen to be, but his warning to beware of the angels leaves Ash feeling uneasy and cautious. Ash had once thought of Connor as an angel since Georgie had likened his perfect features to one of the old world statues. Surely he couldn't be warning Ashala to beware of Connor, could he? Ash and Connor need to retrace Ember's movements, but remembering her life before arriving at Firstwood, Ash releases that she knows very little of who Ember was. Her father was deeply embedded within the Spinifex City reform movement, but as his health failed, he and Ember fled using the tunnels beneath Firstwood, with her father losing his life before they had arrived. But who was Ember before Firstwood, the inquisitive and feisty young woman is insistent that her past contains secrets that Ash may not be able to forgive. Jaz's tribe captures an illegal making his way to the Firstwood. Jules is an Impersonator, being able to shift into anyone he has come into contact with and he brings a message from Ember embedded in yet another river stone. What Ash is about to learn about Ember will rock the foundations of not only the Tribe, but society. From the Serpent, how she came about meeting Jules and where she is. But can Ashala reach Ember in time before she disappears believing that Ash didn't have her support and understanding? The Tribe series is phenomenal. Rarely does book two in any series live up to our expectations, but The Disappearance of Ember Crow intensifies the action, the intrigue and adds the extra element of introducing new characters and a science fiction storyline. I loved it immensely. Ambelin is a storyteller, she creates magical and intriguing worlds that you can't help but be immediately drawn into. With an impeccable writing style, the fusion of fantasy, dystopian science fiction and romance is breathtaking. 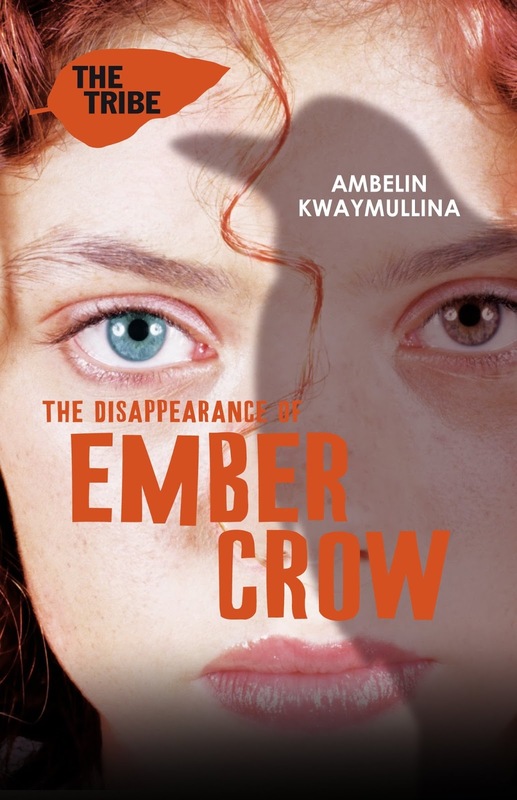 With both The Interrogation Of Ashala Wolf and The Disappearance Of Ember Crow, the story lines are unpredictable, engaging and enthralling. I can't wait for the third and final installment in this series, The Foretelling Of Georgie Spider. Wow, glad to hear that the 2nd book lived up to the first! Thanks for your review on this Kelly. I think I may have enjoyed this one even more Jeann. It had the aspect of a little science fiction thrown in and it blended beautifully. Hey Cait. Chasing the Valley was brilliant and if you enjoyed that, you'll love this series.